Today, we’ll dive into everything in as much detail as possible and walk through the plan, timing, logistics, and specifics of the tuning test along with when, where, and how players can participate in this exciting process. The 343 Sandbox Team has been pouring over nearly two years’ worth of game data and feedback to help inform a variety of adjustments and tweaks to various weapons (and one power-up) in Halo 5. Following a great deal of internal playtesting and iteration, we’re now readying to release these re-tuned weapons to the wild to get game data and player feedback to determine the final results. One of the most important components through this entire process is that the players themselves (you!) have a role and voice in helping to shape the final outcome. This is your game as much as it is ours, and touching a sizable swathe of the sandbox is not something the team takes lightly. And it’s important to note that this update is relevant to all players and playlists, not just competitive – once finalized, these changes will be updated throughout the entire game (Campaign, WZ, and Arena). While we genuinely hope and believe that these changes are all for the best and will ultimately make the game better, we also realize that not everything may work out as we intended or garner the type of player response we’re hoping for. As such, it’s important to us that this plan allows for iteration so the team can react to feedback and make adjustments. The team can have all the data and best intentions in the world, but if a change ends up not working out as we’d hoped, it’s not getting shipped, plain and simple. This doesn’t mean that we expect every player to love every change – with a game and community as varied and nuanced as Halo 5, it’s just not going to be possible to make everyone totally happy all of the time. Some folks may not like certain changes, while others may think some of these changes are great. The team’s job (which isn’t easy!) is to wade through all of that feedback and sentiment, compare and contrast the subjective with the objective data, and land on changes that satisfy our goals and have an overall positive impact to the game and community. What about campaign and warzone? 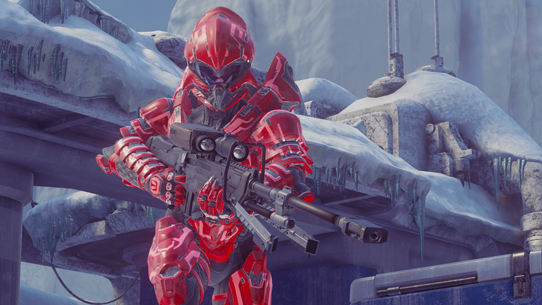 The weapon tuning test is being conducted solely within Halo 5’s Arena, but once completed, the re-tuned weapons will be updated across every mode of play. While it would be great to facilitate a large-scale public test spanning all of Halo 5’s game modes, it’s unfortunately not viable on a technical level. The 343 team has been extensively testing the re-tuned weapons across Campaign and WZ and will be paying extra special attention to the impact of these changes in Campaign & Warzone once the update is released in November. There are currently twelve items in the Halo 5 sandbox being re-tuned and rolled out in the public test this month. That’s not to say there may not be more / different changes at later date – for example, the team is looking at grenades as well (particularly Frag & Splinter Grenades) - but for the purposes of this tuning test, these are the sandbox items that will be adjusted. To help ensure that player behavior, feedback and data is “pure” and unbiased, we aren’t digging into the exact tuning details and backend numbers of each weapon change. In general, each of these items is being tuned in ways that help re-balance the overall Halo 5 sandbox to a more desirable state while also helping to better establish the intended unique role each weapon plays. The iconic AR is a fully automatic weapon that’s fairly effective at mid-range via burst-firing, but more effective at close-range when the trigger is held down. The weapon tuning changes to the AR are designed to reward more skillful use. If you recall, back in April, we revealed there wasn't much difference between a Diamond level player and a Champion level player in regards to AR effectiveness. This retuned version should be more rewarding when used effectively and hopefully more balanced when battling players that are wielding different weapons. 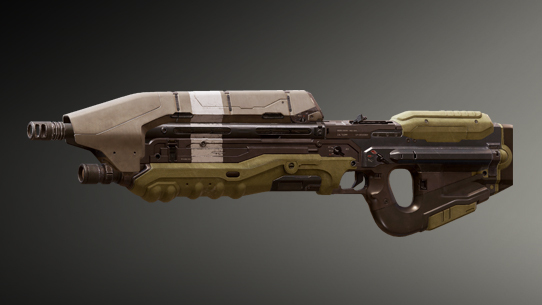 The Battle Rifle is another iconic Halo weapon that’s known for high-accuracy burst fire and exceling at mid-range combat. Currently the Halo 5 BR is a bit too effective at all ranges, so the tuning update is designed to help better distinguish its prowess in mid-range engagements. This isn't to say that the BR will outright lose any fight in close or longer ranges either - an accurate player who lands their shots should be able to have a fighting chance even at close-range. This is something we'll be monitoring closely. 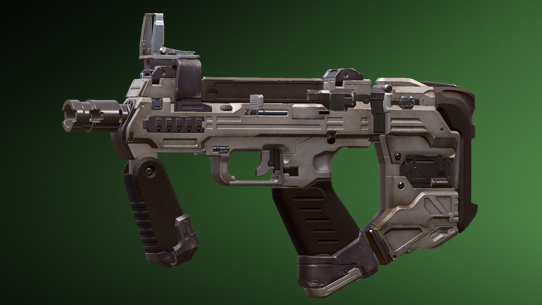 The Carbine is a highly-accurate, fast-firing semi-automatic weapon that’s great at suppressing opponents and cleaning up kills. 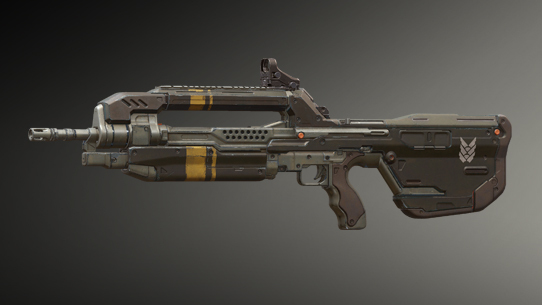 Today in Halo 5, the Carbine is overly effective at long range, so the upcoming tuning update changes are aimed at strengthening its role as a rapid-fire suppression rifle without being dominant and oppressive from far distances. The Designated Marksman Rifle is an accurate, semi-automatic weapon that’s designed to shine in long-range combat while being less effective at mid-range and even less so at close-range. Currently the DMR is living outside that intended role. The desired tuning adjustments to the DMR are to strengthen its place in the sandbox as the long-range marksman weapon that’s very capable of attacking far away opponents but isn’t as dominant in close-quarters engagements. The Gunfighter Magnum fills the role of a fast-firing, semi-automatic sidearm with medium accuracy that excels at close-range. This weapon generally performs as intended, but the tuning update is directed at making the weapon slightly less effective at longer ranges, so that it really stands out as a close-range weapon that can go toe-to-toe with other close-range weapons with some accurate shooting. The SMG is designed to be a high-rate-of-fire-but-inaccurate-bullet-hose of a weapon. It’s intended for close-quarters combat, and to be less ideal at longer engagement distances. In the current sandbox, the SMG is a bit too effective outside of its role as a close-range weapon. 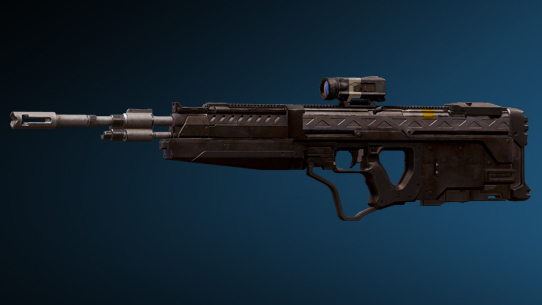 The tuning changes to the SMG are designed to more clearly establish and cement the close-range role of this weapon. The lone power-up included in this tuning update is Active Camo. 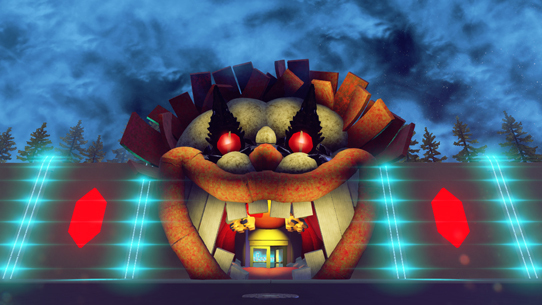 As everyone knows, the role of this power-up is pretty straightforward – when picked up, it makes a player harder to see! However, in some cases Active Camo is slightly less effective than desired, so the tuning tweaks are aimed at making it bit more of a valuable power-up for players. 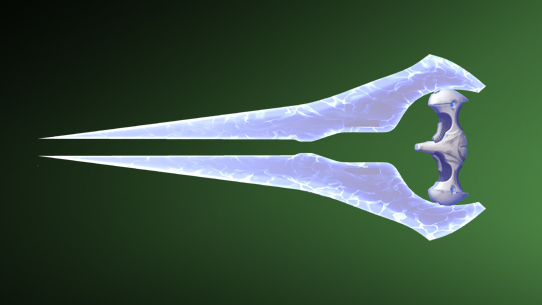 The iconic Energy Sword is a long-time staple of the Halo sandbox that fills the role of a melee weapon that’s very effective at close range, and includes the ability to lunge at targets. 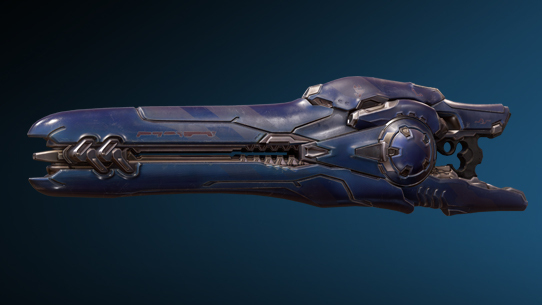 In Halo 5, players that are wielding the Energy Sword also gain a movement speed boost that makes them more difficult to target, and an even more dangerous threat (especially if they’re sprinting). As it stands, players with an Energy Sword in-hand are able to traverse maps a little too quickly and close the distance with an opponent a little too effectively in some scenarios so the tuning tweaks are designed to address this. 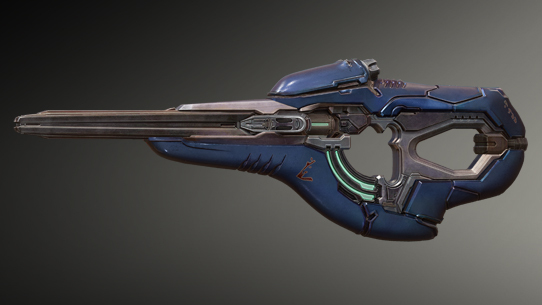 The Beam Rifle is the Covenant’s answer to the classic UNSC Sniper Rifle, and fills the role of an effective mid to very long range weapon with a very fast rate of fire but with the downside of potential overheating. 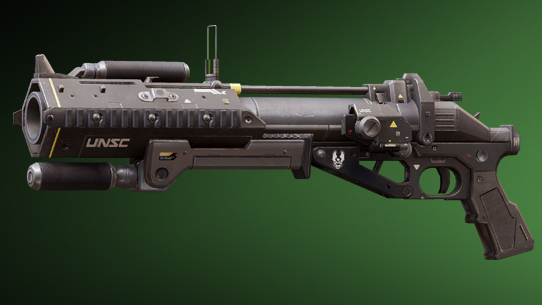 In March, Halo 5 received a small update that included a tuning tweak to the UNSC Sniper Rifle to make it a bit less effective when firing from the hip. The Beam Rifle currently has the same issue the USNC Sniper Rifle once did – it’s a bit too effective against targets when fired from the hip. 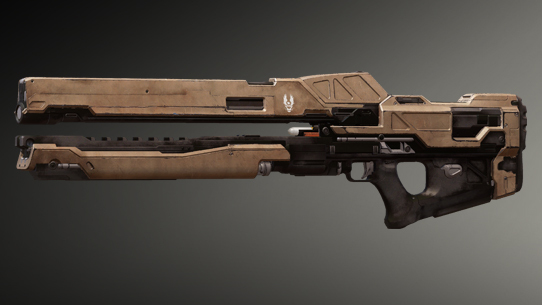 The tuning changes being made to the Beam Rifle are designed to create parity with the UNSC Sniper Rifle update that went live in March, ensuring both weapons continue to excel in their intended roles but don’t over-excel in hip-firing situations. In order to keep these changes focused and prevent potential issues with multiple versions of the same weapon floating around, the re-tuned versions of these items will only exist in the specially designated playlist – you’ll be unable to use these weapons in Custom Games or Forge. To facilitate this public test, a few things will be happening over the next several weeks as we move through each phase of the weapon tuning test. Here’s our current plan but please note that things could shift slightly – if there are any deviations to this schedule we’ll be sure to let you know. A game update will be released for Halo 5 on Tuesday, Sept. 5. This patch will let us bring in the new, specially tuned versions of the weapons that are included in the test. However, these weapons will come into play later on, in “Phase 2” of the test. There’s nothing else included with this update. Following the game update, the Team Arena playlist will be updated as a precursor to the weapon tuning test. None of the newly tuned weapons will be included yet – instead, the playlist is getting updated to make sure that the weapons that will be tested are available on the maps. Think of this as a baseline starting point to allow players (and our game data) to have a true apples-to-apples comparison between the original weapons and their newly tuned counterparts. You can find the specifics about the Team Arena update a little further below. It’s really important to play and get acclimated with the baseline weapons during this period, so that you have proper context once we roll out the re-tuned weapons for testing. The Team Arena “pre-test” will stay up until Monday, 9/11. On the morning of Monday, Sept. 11, the Team Arena playlist will be replaced with the aptly named “Weapon Tuning Test” playlist. This will have the same maps and modes that you will have just spent the prior five days playing in Team Arena, except now the twelve weapons will be replaced with their new, updated-tuning versions for public testing. During this phase we obviously need as much player input and participation as possible. Jump in, play games, see how things feel, and let us know what you think! On Oct. 2, the Weapon Tuning Test Playlist will be removed and the original Team Arena playlist will return for normal play. This is the true OG Team Arena playlist – the one that existed prior to Sept. 5. – and it’ll remain in place for the foreseeable future. This phase is essentially the end of the public portion of the tuning test, and is when everything returns to normal while the team here finalizes reviewing data and feedback to drive the final spec for the new weapon tunings. Once those settings are locked, we’ll put together a comprehensive overview for players to detail exactly what’s changing and how the team arrived at those changes. In early November, a larger game update will be released for Halo 5 that adds 4K support for Xbox One X along with the new re-tuned weapons (and a few other odds and ends) which will replace their original default counterparts across every mode of the game (Campaign, Warzone, Arena). Of course, even after all the testing, data, and feedback, the team will still be monitoring things very closely to make sure the tuning changes are working out as intended and if any further tweaks are needed. As we’ve stated many times over, player feedback is critical to this process and something we are very much relying on to help inform the final tuning adjustments. The easiest way to help this cause is to just play the game – in both the updated Team Arena playlist as well as the Weapon Tuning Test playlist. Our team of data scientists and business-intelligence ninjas will be gathering up loads of data that will be used to evaluate very specific metrics for each of the items being tested. 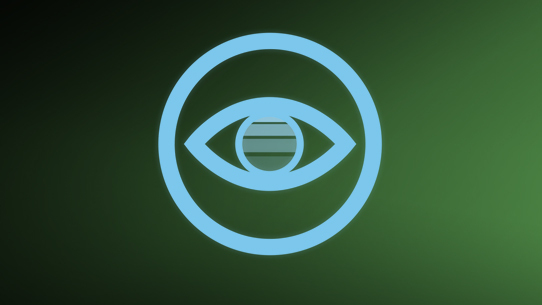 Halo Waypoint Forums – We’ll have an official pinned thread in the Halo 5 forum that we’ll be monitoring closely and ask that players try to focus their feedback there. We can also jump in to answer questions and provide clarity as needed. There’s an initial Weapon Tuning Discussion Thread available right now and we’ll create a new thread once “Phase One” kicks off and then one more thread once we move into “Phase Two.” UPDATE 9/11 - Phase One has concluded and Phase Two has begun! Use THIS THREAD to share feedback on the newly tuned weapons in the "Weapon Tuning Test" playlist. 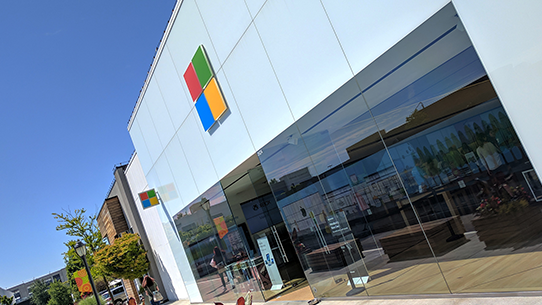 Halo Community Feedback Program – The HCFP is a larger opt-in survey program that we already use to get all sorts of valuable feedback on a multitude of Halo related topics. If you’re a fan of Halo we’d love to have you join this program – the more people participate, the more varied and comprehensive feedback we can get! During the weapon tuning test at least one HCFP survey will be sent out to specifically gather input around the re-tuned weapons. If you’re not already in the HCFP program you can join up and learn more right HERE. On behalf of the sandbox team and everyone else at 343 that’s working to bring this game update and weapon tuning test to you – thank you! We look forward to playing together online and digging into your data and feedback as we work through this process together. On Wednesday, Sept. 6 the Team Arena playlist is getting a temporary make-over as a precursor to the actual weapon tuning test. This update is primarily to get necessary pieces in place to facilitate the tuning test – i.e. we need to make sure that the weapons that are part of the tuning test are actually available in the playlist (but there are a few other minor tweaks being made to help facilitate gameplay such as the way the pistons function on Torque). We’re doing this in the first phase so players can get better acclimated with the playlist itself and familiarized with all the weapons before we introduce the re-tuned versions. Remember these Team Arena changes are only going to be in place for about one month – week of Sept. 4 through Oct. 2. When the tuning test concludes everything will revert to the way it is now. Some, all or none of these changes might end up becoming part of the Team Arena down the road but that’s something the team will work to figure out later (based in large part on player feedback). We’re also experimenting with changing the starting loadouts for Team Arena to BR & GunFighter Magnum. 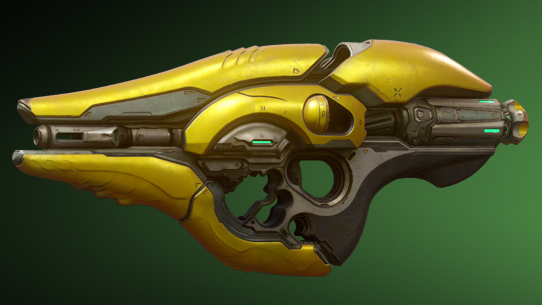 Additionally, during the weapon tuning test period, Team Arena will adopt the “Ability Tracker”, which is the modified version of the Motion Tracker used in HCS Settings (this version of the tracker has reduced functionality and only displays enemies that are using Spartan Abilities or firing an un-silenced weapon). This change is part of a broader goal the team has around differentiating and refining the play styles between Social/Casual play and Ranked/Competitive play and freshening up the overall multiplayer experience in Halo 5. In the future, Social playlists will likely stick to the default Motion Tracker with AR & Magnum starts, but this tuning test gives us (and you!) an opportunity to test something new for Ranked play specifically. 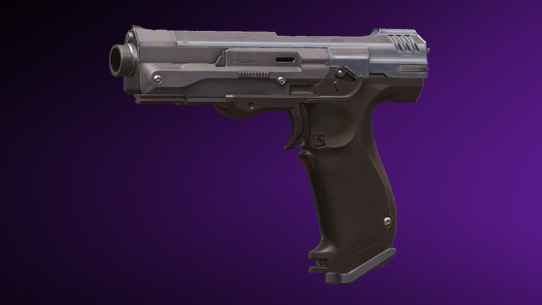 The team sees the newly tuned BR as a better fit for the starting utility weapon role, while the newly tuned Gunfighter Magnum fills the role of a sidearm that supports close quarters combat and aggression in a different manner than the AR has. As Halo 5 moves into year three, the team is excited to hear your feedback on these new weapon tunings and updated loadouts. Please let us know what you think! There was discussion around just making a brand-new playlist specifically for tuning test, but we opted to temporarily re-purpose Team Arena to help ensure a strong player population, familiarity, ease of access, and make sure that CSR and MMR values are accurate and pre-existing for players. As noted earlier, the sandbox team is looking into re-tuning grenades, and the Splinter Grenade in particular is something we’ve heard a lot of feedback on (and generally agree with). You won’t see updated Splinter Grenade’s in this Team Arena playlist iteration (mostly on account of limitations we have within the game systems – new grenade variations can’t be changed on a per-playlist basis) but please be aware it’s definitely being worked on. Lastly, just a final reminder that these playlist changes are only going to be in place for the duration of the weapon tuning test. When the test is finished, Team Arena will revert back to its original state. Some, all or none of these changes might end up becoming part of the Team Arena down the road but that’s something the team will work to figure out later (based in large part on player feedback). Weapon Tuning Test Phase Two Feedback Forum - Use this thread for official feedback on the updated weapons in the Weapon Tuning Test playlist from 9/11 through 10/2. Halo Community Feedback Program – Once the test begins, one of the official methods we’ll be using to collect player feedback is via HCFP surveys. If you’re not already signed up, now’s a great time! Beyond the tuning test, this program is used to gather feedback on many aspects of the Halo games and franchise on a regular basis. Please consider signing up and sharing your opinions with us!